Get notified when Shawn Mendes tickets are available! Shawn Mendes is a singer and songwriter who was born in Toronto, Canada. A pop recording artist, he broke onto the scene in 2012 when he began posting short videos of himself performing on Vine. 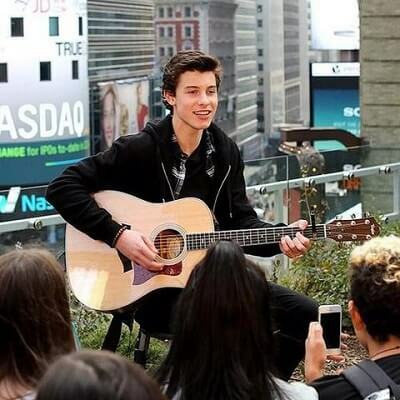 In 2013, he recorded his first album and has had hits in both the U.S. and the UK with songs like “Stitches.” As a singer who loves to perform for a crowd, Shawn Mendes frequently tours. You can be in the audience for a Shawn Mendes concert by checking out the list of upcoming tour dates above and then using the links to order Shawn Mendes tickets online.